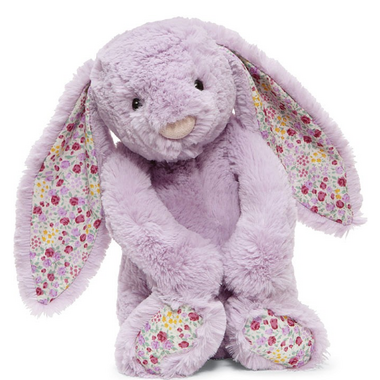 Size: medium - approximately 12"
This bunny is so lovely and soft. I gave it as a first Christmas gift! Jellycat makes amazing stuffed animals - they're soft and great quality. My son has several and loves them.